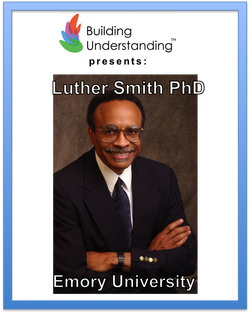 Luther E. Smith, Jr. is Professor of Church and Community at the Candler School of Theology of Emory University. 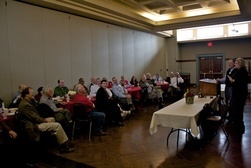 Dr. Smith has written numerous articles and speaks extensively on issues of church and society, congregational renewal, Christian spirituality, and the thought of Howard Thurman. He is the author of Howard Thurman: The Mystic as Prophet (Friends United Press), Intimacy and Mission: Intentional Community as Crucible for Radical Discipleship (Herald Press), editor of The PanMethodist Social Witness Resource Book (A.M.E. Publishing House) and Howard Thurman: Essential Writings (Orbis Books). Cost is $7 for BUDS, Fulbright, and Youth Universe members, $10 for non-members.